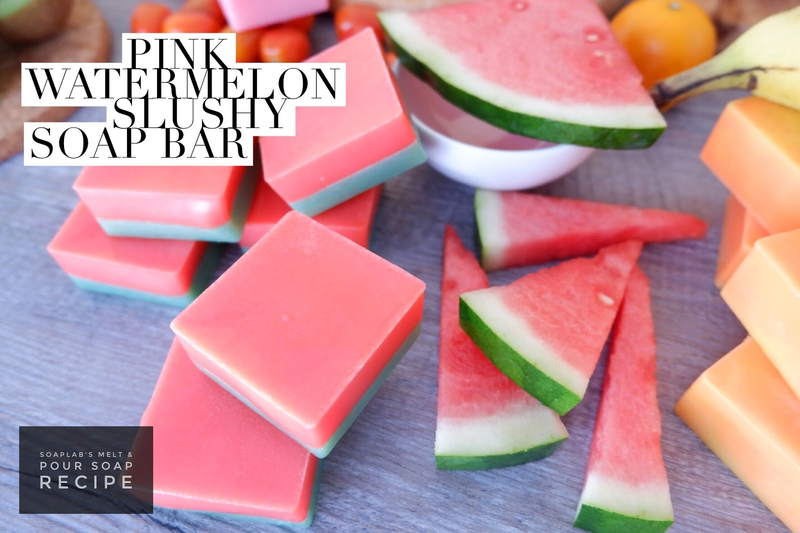 Today we will be making the Watermelon Slushy which uses a SoapLab’s goat’s milk soap base with watermelon juice. Goat’s milk removes dead skin which evens out skin tone. It is also rich in vitamins and mineral which keeps the skin healthy. It also gentle so it is great for people with sensitive skin too. Watermelon juice is amazing for the skin as it helps regulate oil levels on the skin, and refreshes the skin. This helps you have an even skin tone. Finally; to make it more nyummy; we added pink watermelon fragrance oil, for a yummy fruity smell. To make your soap look like a delicious watermelon add, irredecent red mica with green mica. This melt and pour soap will be as much fun to make as it is to use. Try it and tell us how it goes!